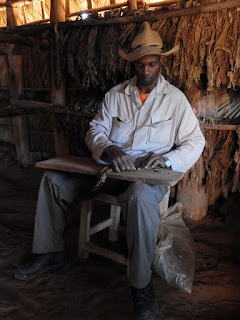 Benito Camejo Nodarse is a local legend in Cuba's western Pinar del Rio province, the UNESCO World Heritage region renowned as the supposed birthplace of modern tobacco cultivation. "Date un toque," says Benito in typically charismatic style as he pours us both a shot of local rum, "kill the rat!" - which I take to mean 'hair of the dog' or similar. 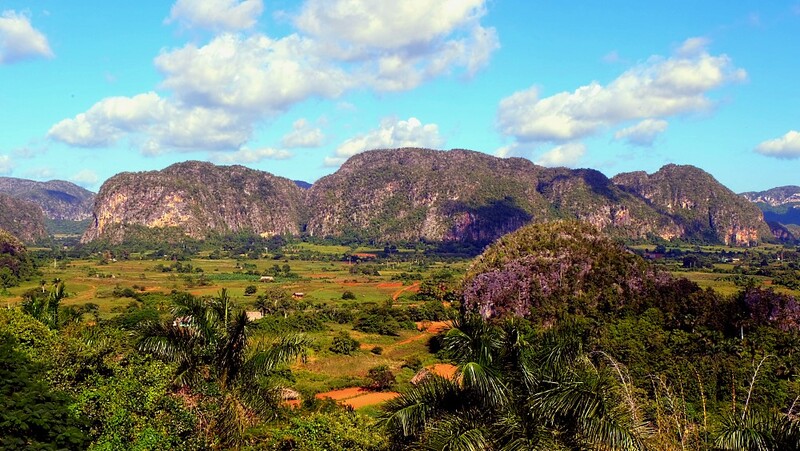 Tucked away among similar, privately-owned farms of less than 25 acres each, Benito's family have been here in the Vinales Valley for five generations producing the valuable crop first cultivated right here by the Spanish in the 16th century. Modern tobacco is derived from the wild 'cohibo' weed used by the long gone Arawak indian 'belique' (shamans) during ceremonies. From that rough leafy plant sprung a most valuable primary product that has become a major contributor to the Cuban economy alongside coffee and sugar. 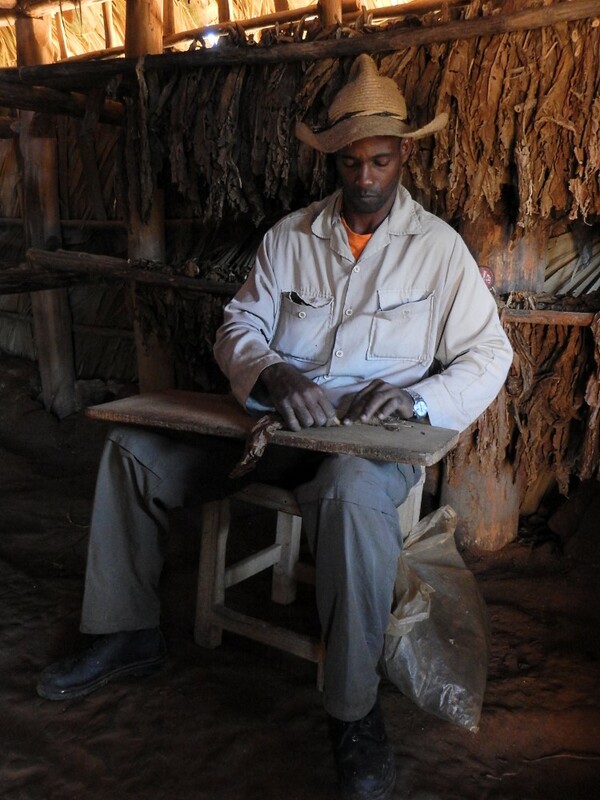 A few moments earlier, Benito's foreman, Ismael, had shown us the art of hand rolling the cigar into its familiar, leafy tube. Leaves from the mature plant are selected at different times and for different purposes and 'cured' in a thatched barn identical to those used by the early Spaniards. Leaves are hung on horizontal wooden poles for weeks to dry and 'cure'. For instance, the top leaves are called 'volado' (hot) are harvested first and used as a binder for the cigar's contents. Next, a week or so later, the 'ligero' (light) leaves are plucked and used as the wrapper. Finally, the lower leaves or 'seco' (dry) ones are gathered and used for the filler. These will dictate the final flavour and aroma of the cigar. Typically 90 percent of Benito's crop is selected for agreed government production under controlled conditions while any remainder is left for him to sell as he wishes. 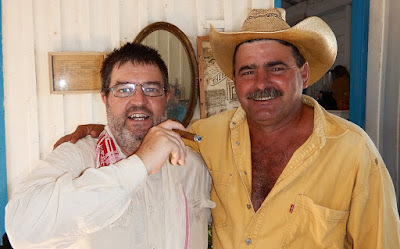 This is typically as 'cleanskin' cigars which come without any certified branding but smoke as well any Cohiba or Monte Cristo for a fraction of the price. Yes, I bought a clutch of 10 for not much more than a buck each. From the Vinales Valley we continue southwest to meet MV Callisto, waiting for us at the farthest western point of the island, in the Guanahacabibes National Park. 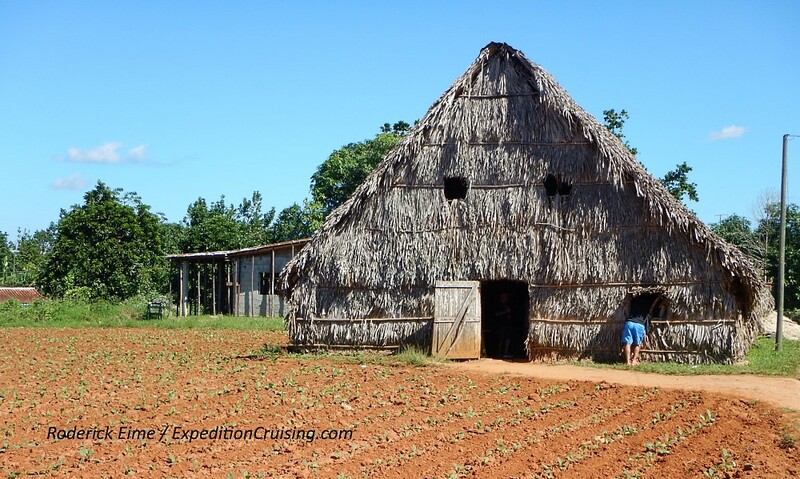 Cuba Small Ship Cruising: Viva la Revolution!